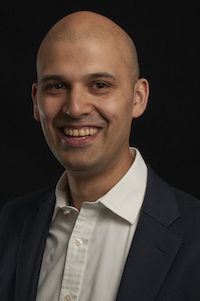 Jonathan Patel is an Operations Executive at Aspiring Solicitors. Jonathan joined Aspiring Solicitors after working at various sized London law firms for nearly ten years as a paralegal, trainee, and qualified solicitor. Jonathan was the first in his family to attend university and completed a history degree at Trinity College Dublin, before completing the GDL and LPC. Jonathan spent several years working as a paralegal in his quest to obtain a training contract and achieve his dream of qualifying as a solicitor. Looking back, he recognised the invaluable assistance an organisation such as Aspiring Solicitors would have been when he was applying for training contracts (had it been in existence!). Throughout his training contract and on qualification as a BAME solicitor, Jonathan witnessed the relatively small number of other BAME solicitors working in the City and joined Aspiring Solicitors to help address this and inspire other underrepresented groups to join the legal profession.